The nunnery is my favorite place, though I didn’t spend any time there this visit. There is scaffolding up at one end, repairing the rock walls at refectory. 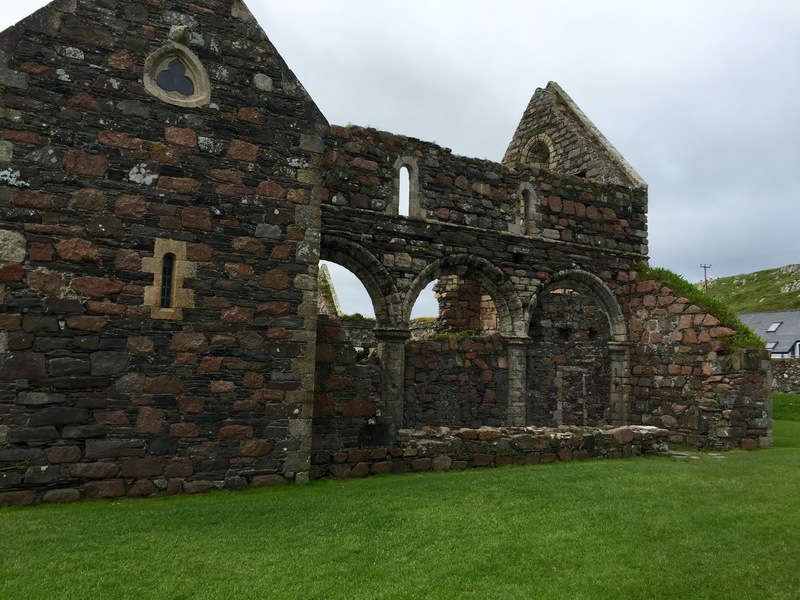 The first photo is the chapter house, where the nuns gathered each day to hear a chapter from the Rule of St. Benedict. 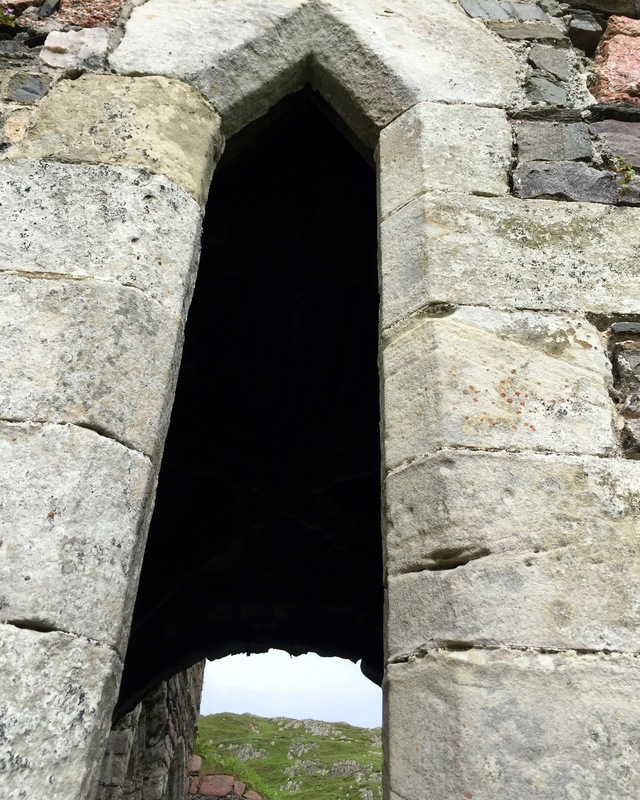 The second photo is looking up through outside window into the sacristy, where altar items were stored, beyond which you see sheep on hillside. 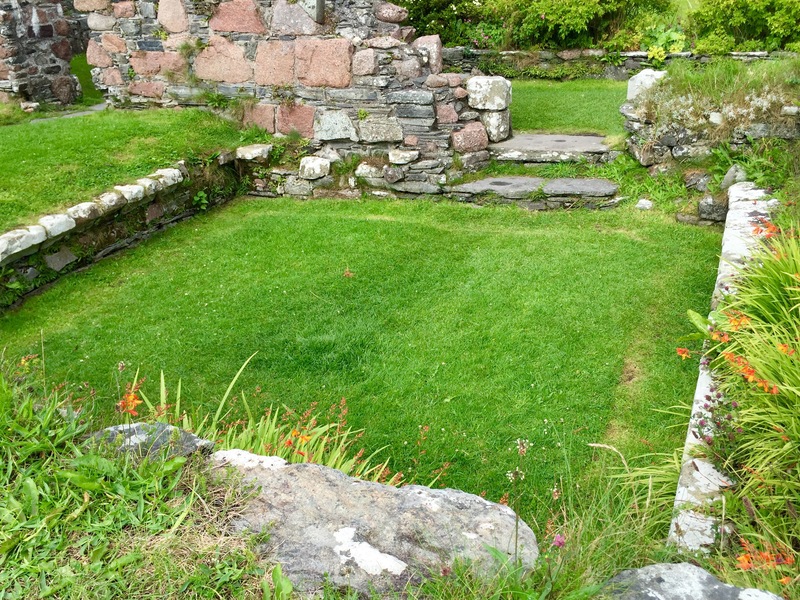 The next are taken from side of sacristy, and show arches into what would have been the nunnery church, with sacristy in left and altar end just beyond it. The nunnery flourished from 1200 – 1550. 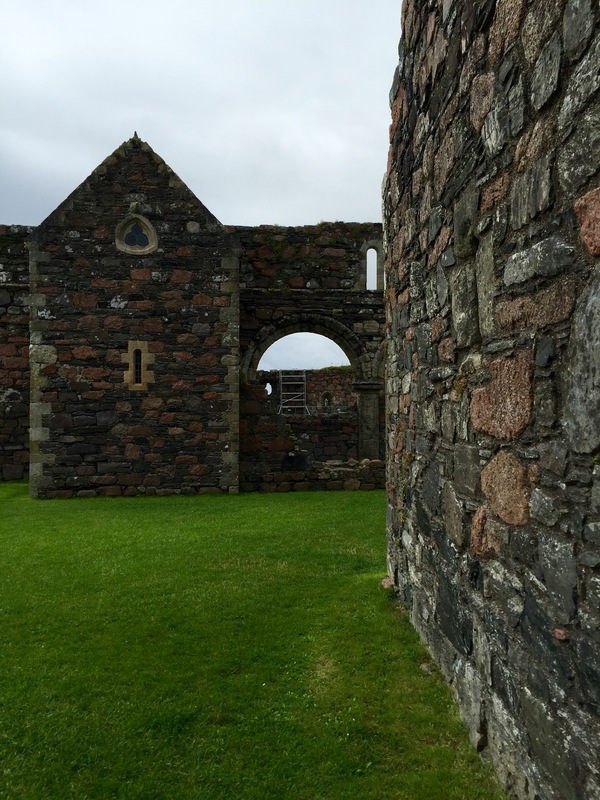 The text at entrance explains that many nuns came from noble families, and the nunnery provided refuge for “unmarried daughters, widows, illegitimate girls and estranged wives.” They did not live in poverty and seclusion, and supported themselves on income from nunnery lands on Iona and elsewhere. 31 Jul	This entry was published on July 31, 2016 at 2:22 pm and is filed under Uncategorized. Bookmark the permalink. Follow any comments here with the RSS feed for this post.